In May 2018, the Australasian Railway Association engaged BIS Oxford Economics to undertake a workforce capability analysis for the rail industry. The study was based on planned and forecast growth in rail infrastructure and rolling stock in Australia and New Zealand over the next 10 years, with implications for a range of rail industry skills across construction, manufacturing, operations and maintenance. Through expansive stakeholder and industry engagement, gap analysis and extensive data analytics, the report explains skills demand in the rail industry over the coming decade, the key threats to workforce capability, and what industry and government can do to respond to meet the challenges of delivering on the significant rail infrastructure investment. The report was launched at the AusRail 2018 Conference and Exhibition on 27 November 2018 and can be found here. A fast developing skilled labour crisis in the rail sector will deliver a substantial blow out in project costs and delivery delays to rail projects in Australia and New Zealand over the next 10 years according to BIS Oxford Economics Pty Ltd in a report commissioned by the Australasian Railways Association. CEO Danny Broad said “The report is a call to action to government and industry. “Immediate corrective action to fill skills gaps with fit-for-purpose training is needed to avoid these blow-outs. “Investment of over $100 billion in rail projects by Australian governments over the next ten years, will be undermined by shortages of skilled labour that dramatically impact the construction of new rail systems, and our capacity to operate them,” Broad said. “The next ten years will herald a renaissance of rail in Australia – important urban passenger projects such as the Melbourne and Sydney Metros, Brisbane’s Cross River Rail, Perth’s Metronet and multiple light rail infrastructure and rolling stock investment as well as crucial freight projects such as Inland Rail, which will provide direct freight link from Brisbane to Melbourne. “Unless we address shortages due to market failure, attrition, and unsuitable training arrangements, projects will blow out in terms of delivery and cost. Boost awareness and attraction of rail careers. The need to attract skills and career aspirants to the rail industry is widely recognised. Industry has a significant responsibility in this regard. The taskforce should add its weight to initiatives such as establishing ‘branding partnerships’ with related industries across transport, mining and manufacturing. The Australasian Railway Association engaged BIS Oxford Economics to undertake a workforce capability analysis for the rail industry based on planned and forecast rail infrastructure development in Australia and New Zealand over the next 10 years, with implications for a range of rail industry skills across construction, manufacturing, operations and maintenance. 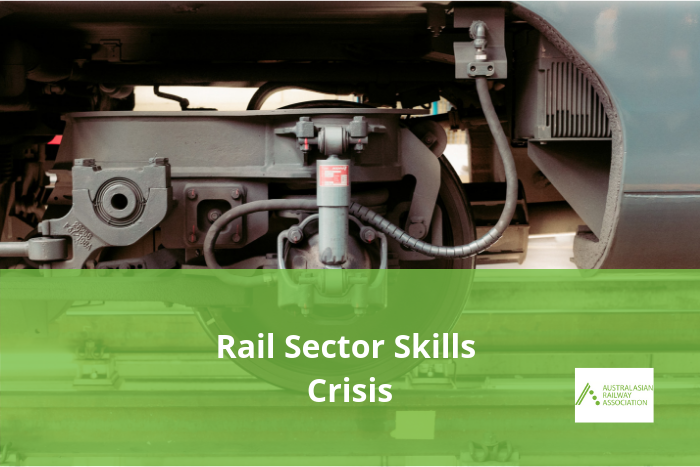 Through expansive stakeholder and industry engagement and extensive data analytics – the report explores skills shortages over the coming decade, key threats to workforce capability, and what government and industry can do to respond to meet the challenges of delivering on the significant rail infrastructure and rolling stock investment.